Many large corporates and established organizations in Singapore value team building activities as an essential part of their human resource strategy. The leadership of such organizations understands that at the core of successful companies are great teams. Start-ups, in particular, would benefit best from such activities. 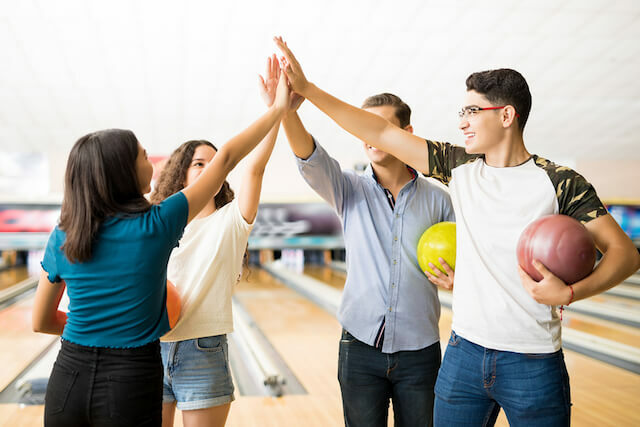 Outdoor and indoor team building games in Singapore have amazing advantages that go beyond de-stressing and charge up staff every once in a while. And these are essentially vital for building a successful start-up. With many fun things to do in Orchard in Singapore, many companies, both big and small, take the opportunity to hold many team building activities there. But with the number of activities to do in Singapore, the fun just doesn’t stop there. Below, you will find even more reasons that show why team building activities are especially fantastic for start-ups. Startup organizations often have small teams and people frequently cross paths with colleagues, which usually means that there is a need for lots of communication between one another. Here is where team building comes in, to tighten the relationship between colleagues and ultimately, close the gaps between everyone. Team building, as the name implies, strengthens the bonds between team members. Staffs get time to laugh together and at each other positively, enhancing friendships and improving their moods. This enhances positive relationships enabling staffs to work better together and have better focus at work, thus improve productivity. Teamwork is an absolute essential for startups. Both outdoor and indoor team building activities are designed to train staffs not just to work together as a team, but also focus their efforts towards the bigger picture. As staffs engage in teambuilding activities, they learn to anticipate and serve each other to meet each other’s expectations whilst focusing on the big picture. For startups, it is not just enough to express your thoughts and opinions to your colleagues. Your colleague must be able to understand what you mean and interpret what you are saying with clarity and precision. Certain indoor team building games, such as escape room challenges; sharpen communication amongst team members, which eventually builds your team’s productivity. When you take your workforce out of the office and engage in challenging, but fun-filled activities, it helps team members to think “outside the box. As they engage in a team building activity, staffs step aside from their normal routines, participate in new experiences and learn to work together in a new environment. This ignites creativity and brings changes to the workplace which is essential for startups. In startup businesses, a crisis can happen at any time. Both outdoor and indoor team building activities are designed to enhance your team’s ability to think critically and plan strategically. They build skills to logically resolve issues and forge ahead towards the objective. Whenever the team encounters crisis at the workplace, they would employ the skills gained to think critically and unearth the cause of the crisis, and strategically resolve it. At team building activities, the stakes are high but in a fun way. Staffs are able to use their unique skills and develop confidence without fearing to negatively impact the business. Members exercise and become more confident in their uniqueness which can bring outstanding results at the workplace. To conclude, these benefits can dramatically change the impact of employees in the workplace. Thus, it’s worth spending resources in team building for your startup.